He is lively and young at 55 and can put any youngster half his age to shame with his enthusiasm and zeal for life. 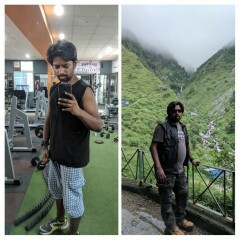 From being an inactive person to a completely super active in one year is worthy. Despite being a member of the senior management he finds time on a daily basis to do his workout no matter where he is. He is a great advocate of Active Sunday and does not miss it irrespective of which city he is in. If he is in Delhi he attends the active Sunday’s in Delhi. Let’s hear Ashwani Sood’s story in his own words. I work with a French multinational Pharma Giant Sanofi. I am on the board of management of Sanofi India and part of the senior management team. Until one year ago my life was that of a boring corporate professional without any physical activity whatsoever. I would come back from work and feel exhausted so much so that it left me no energy to do anything. So I would just lie around on the couch and watch TV. Prior to that life wasn’t any good either. For 15 years I was based in Gujarat and 400 people were working under me and we used to have these annual health check-ups. I was declared overweight and I was asked to reduce 5-6 kg. I tried but nothing worked. 2014, I got posted to Mumbai. Here I was staying in a gated community and the environment was conducive for me to work out. The environment was a booster in the sense that I would see so many people exercising and going for runs or walks and that interested me in working out or exercising. It came as a big game changer in my life. Just as I was getting used to the idea of getting fit and changing my lifestyle for the better, GOQii band came as a boon. We were given the band in office and asked to try it out and give feedback. What started with trying out the fitness band, has today become a part of me. GOQii has changed my lifestyle for the better. I came on board GOQii in March 2015. My health goal was to get a disciplined routine in my life and reduce weight and also I would like to run a marathon. Clearly, I was confident of achieving the first goal to begin with. My coach NahidKhilji, gave me my first challenge which was to start with clocking 8000 to 10000 steps daily. Initially, it was a tough task. But, soon I was able to achieve this goal. I had stopped taking the elevator to the office and also started taking small walks. I would try and see to it that I complete the required amount of steps daily. This eventually led to increasing my activities. I started swimming regularly, playing badminton. From being sluggish, I was back to being active. “If there is a will there is a way.’ I had only one motive when I started on GOQii to clock 10,000 steps. I used to also get constant reminders for ‘Active Sundays’ but I never went for it. Then one day I decided to go and since that day, there is no turning back. I try and attend every Active Sunday when I am in town and if I am in Delhi I go for Active Sunday’s even there. Just as I started doing all of these, my coach then threw another googly at me and told me why not do the 100KM trail walk challenge and I was all game for it. I wasn’t sure I would be able to do it but, my coach was confident and that gave me confidence in myself. I went for a practice session in Mumbai. It was a 25 Km walk to Haji Ali. We started the walk at 10.30 pm and I was among the first few to complete the walk. It was an amazing experience. The walk was brilliant I could easily manage it and above all having been in Mumbai I had never experienced the city in thick of the night and believe me it was beautiful and an eye opener. This boosted my confidence and thereafter I went for all Oxfam Practice sessions. 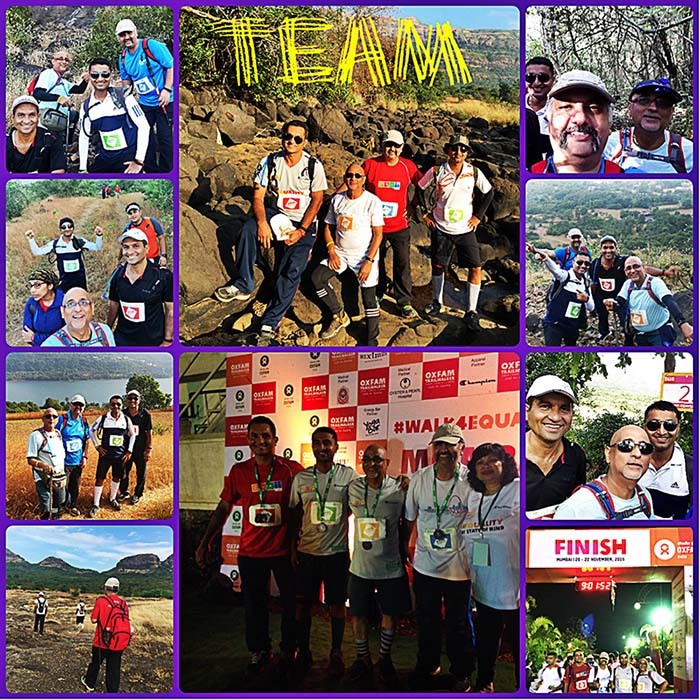 I participated in Oxfam Trailwalker- Team GOQii Yankee. We completed the 100 Kms within 48 hours. It was challenging but mentally we were all strong to be able to push ourselves, motivate each other and go forward. The trail walker I realized it was a ‘game of mind over body’. After Oxfam, I upped my target to 12000 steps daily. 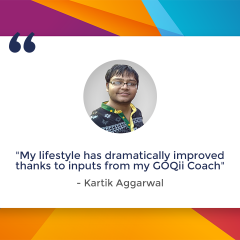 GOQii has been a great enabler for me to get back to an active lifestyle and I am enjoying this positive change. I have lost 3 kgs and I am drinking 2 liters of water daily. My wife has also been very supportive in helping me follow my diet plan. In fact, I have learned a lot in terms of diet. What to eat, when to eat etc. I have, in fact, removed all items that had sugar in them. My biggest achievement apart from my goals has been that I have also been able to inspire a lot of my colleagues. Many of them have now become part of GOQii family. And last but not the least I would like to say the karma points is another big motivator. The whole aspect of Karma brings unique positivity to help the society. I have so far donated about 11000 points to about 9 causes, walked 4.5 million steps and 2800 plus KMs. 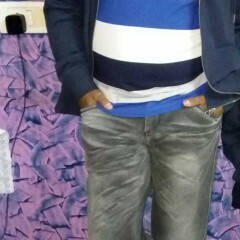 Ashwani is one the most amazing persons I’ve come across. 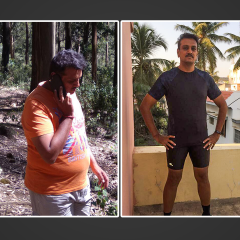 He started with a sedentary lifestyle and today, I am proud to say he is more active than even few of our health coaches. It’s purely his enthusiasm, dedication, and discipline towards fitness that has got him to the spot that he is in currently. I remember from 5-7k steps to 10K steps its 12k steps in a day currently! Now most of his Sundays are spent in super active Sundays. They say age is not a barrier; he has proved it and is much agiler than people half his age. And, trust me when I say this, he doesn’t say no for any kind of challenges. Right from going off sweet for a month, to just have fruits a day to the interval training and super awesome step count. I feel so proud today to be his coach. I have faith too.